Emily Rabinsky guides two HCC students in a lab project. 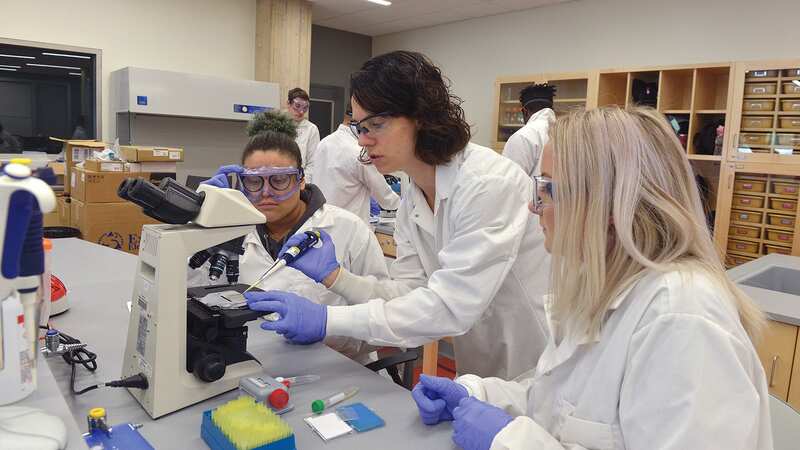 As she walked BusinessWest through one of the brand-new labs in Holyoke Community College’s Center for Life Sciences, Professor Emily Rabinsky said there’s plenty for students to appreciate. Take, for example, the only certified cleanroom at any Massachusetts community college, and one of very few at any college or university in Western Mass. Once it’s fully operational, the cleanroom will have a certification rating of ISO 8, which means air quality of no more than 100,000 particles per cubic foot. Inside the cleanroom, there will be a hooded biosafety cabinet where the sterility will increase to ISO 7, or no more than 10,000 particles per cubic foot. Take, for example, a class she’s currently developing called “Cell Culture and Protein Purification,” which will make copious use of the cleanroom. The cleanroom will also be utilized as a training facility for area professionals — for instance, in how to monitor the air for microbial content, commonly known as particle count. So, while students are being trained in laboratory settings similar to what they will experience in industry, making them more competitive for the biotech job market, Rabinsky said, HCC serves a local workforce-development mission by training non-students as well. HCC recently staged a grand-opening ceremony for the 13,000-square-foot, $4.55 million Center for Life Sciences, located on the lower level of HCC’s Marieb Building. The Massachusetts Life Sciences Center awarded HCC a $3.8 million grant for the project, which was supplemented by $750,000 from the HCC Foundation’s Building Healthy Communities Campaign, which also paid for the construction of the college’s new Center for Health Education on Jarvis Avenue in Holyoke. 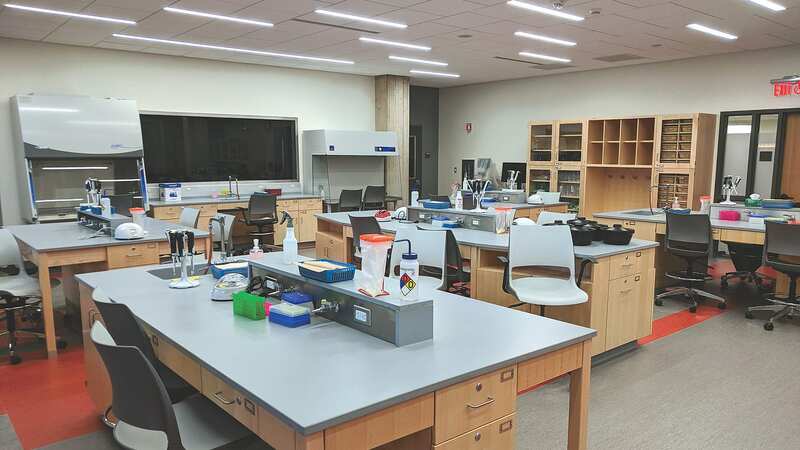 “Those grants outfitted the biotechnology program but also all of the programs that fit in around it, including microbiology, general biology, and genetics,” Rabinsky said, noting that the new space includes two labs, the cleanroom, a prep room, and a lecture area. Grant funds and donations also paid for new equipment, including a high-end, research-grade fluorescent microscope, like those used in the pharmaceutical industry; a micro volume spectrophotometer, used to measure small amounts of genetic material; and an electroporator, for genetic engineering. Meanwhile, a cutting-edge thermocycler can take a small sample of DNA and make billions of copies in an hour. About half of Rabinsky’s students are interested in going into biotechnology, with most of those specifically interested in medical biotechnology and pharmaceuticals, as well as medical devices, an industry with strong roots in Western Mass. and the Boston area. To that end, in her introductory biotechnology course, she incorporates activities that students can relate to their everyday lives. Rabinsky admitted some might not see the new center as a necessity since HCC already had a functioning facility upstairs, but said it was important to keep the college on the cutting edge and attract more students to give the life sciences a look. 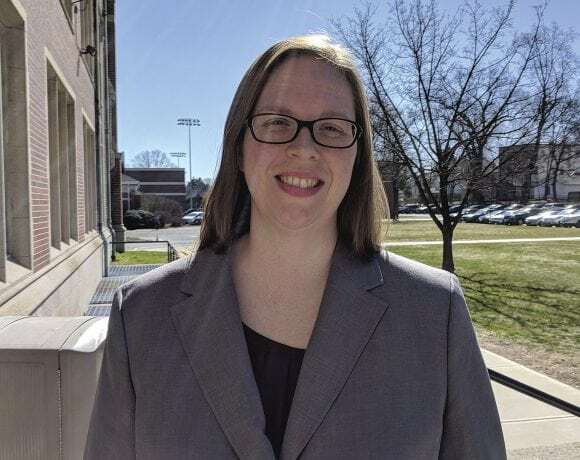 Of course, it all starts with the instruction, and on that front, Rabinsky said the Center for Life Sciences will continue to prepare students to enter what is certainly a growing field from a jobs perspective.